ABSTRACT: What are the thermodynamic driving forces that influence the free energy of membrane protein folding and association in lipid bilayers? For soluble proteins, the burial of hydrophobic groups away from aqueous interfaces is a major driving force, but membrane-embedded proteins cannot experience hydrophobic forces, as the lipid bilayer lacks water. 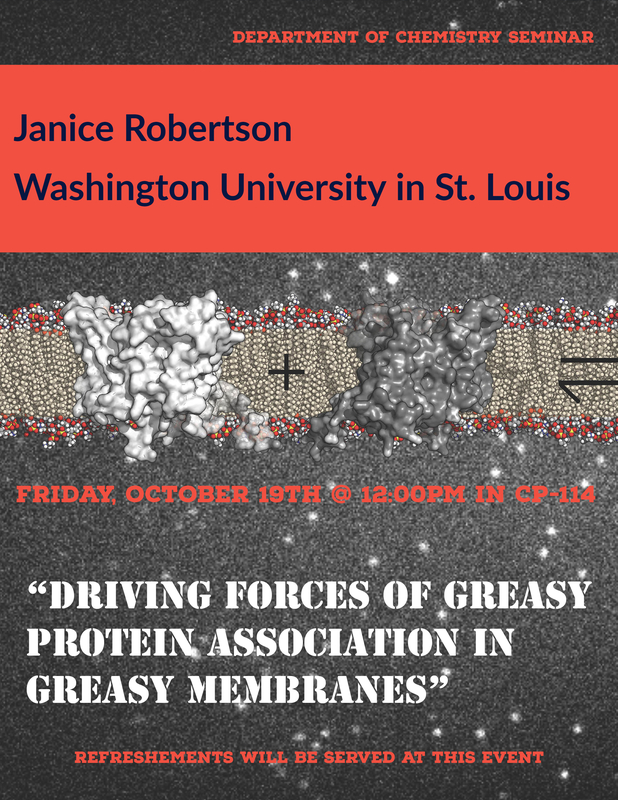 A fundamental conundrum thus arises: how does a greasy protein surface find its greasy protein partner in the greasy lipid bilayer to fold faithfully into its native structure? Recently, a structurally stable and functional monomeric form of the normally homodimeric Cl-/H+ antiporter CLC-ec1 was designed by introducing tryptophan mutations at the dimer interface. We have used this to develop a new model system for studying reversible dimerization in membranes for free energy measurements, which encompasses the thermodynamic properties of protein interactions in the membrane environment. To quantify monomer vs. dimer populations across a wide range of protein densities, we developed a method that quantifies the capture of subunits into liposomes from large equilibrium membranes single-molecule photobleaching by total internal reflection microscopy. With this, we are able to determine that CLC-ec1 has a free energy of dimerization of -11 kcal/mole in 2:1 POPE/POPG membranes. We are now investigating why this complex is so stable, dissecting the changes in enthalpy and entropy while varying protein interactions or the composition of the lipid solvent. The results from this study will provide a physical foundation for the development of informed strategies aimed at correcting protein mis-folding or regulating protein interactions in membranes in physiologically and pathological situations.